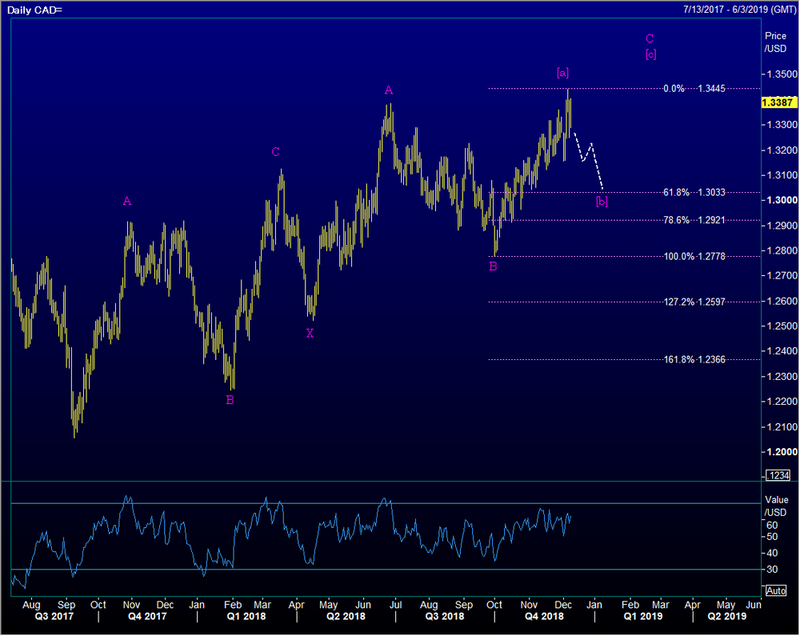 We didn’t expect CAD to retrace 78.6%, back toward 1.3400, but it has. Momentum still working higher, but a possible setup for a short back toward the C-Wave equality target at 1.3210…hourly chart second below….momentum trying to turn over? If stocks recover, this seems a trade that could have legs. Daily basis back toward 1.3033 makes sense (third chart posted below). Newer PostGBP/USD Daily: Swing low bang on a retracment level?